From experienced yogis to beginners, we invite all to practice with us! Welcome the new day with body opening, strengthening, energizing asanas. This morning class is accessible to any level yogi, and will focus on building strength, tone, and flexibility in many areas of the body. A flow, or vinyasa-Flow class, is built around sequences of smoothly-linked postures. Expect the merging of breath and movement, as well as sun salutations. Heat, strength, and flexibility-building movement sequences will open your body and mind and challenge and relax you physically. As an all-levels class, there will be ample safe instruction and guidance for newer students, and more intense options for intermediate and advanced students. Power flow is more stimulating and dynamic than most other classes to help you build strength, endurance, and flexibility. It centers around vinyasa, or chaturunga dandasana, (yoga push-up), but also may incorporate hip openers, backbends, inversions, and other poses. Sometimes poses will be held for longer periods of time to increase muscle strength. Core work is likely to be incorporated. If you are looking to sweat a little, power flow won’t disappoint. This class will be physically challenging for all, especially beginning students, but if you are interested in pushing yourself physically and mentally, and ultimately relaxing in well-deserved closing poses, this is a class for you. This class will satisfy yogis of many types and experience levels. A flow, or also known as a vinyasa-flow class, is built around sequences of smoothly-linked postures. Expect the merging of breath and movement, as well as sun salutations, and longer series of heat-building postures in the beginning of class, followed by more cooling series in the end. Heat, strength, and flexibility-building movement sequences will strengthen, tone, and open your body and mind and challenge and relax you physically. As an all-levels class, there will be ample safe instruction and guidance for newer students, and more intense options for intermediate and advanced students. Class will likely include some core work, some arm and leg-strengthening poses, inversion or arm balance options (for all levels), and seated forward folds and twists. Dharma Flow Yoga is accessible to yogis of all levels. Each teacher brings her or his individual style to this, and all of our classes. However, you can expect to hold poses longer in this class, and sometimes do a bit less flowing than in a typical flow or vinyasa class. Expect to gain a better understanding of the how's and why's behind yoga and the particular idiosyncrasies and benefits of each pose, while enjoying this ancient practice. This class will be very accessible to beginners, and also satisfying to intermediate or more advanced practitioners who are seeking to connect more deeply with their practice, in a slower, more mindful setting. Focusing on more than just alignment and asana, this class will deepen your connection and appreciation for the delightful, light-hearted benefits of a yoga practice. Class can and may include a warm-up, sun salutations, warrior poses, heart openers, twists, standing balances, back bends, core work, inversion options, and seated forward folds. Class will begin with a series of movement-inviting postures and focused breath work followed by Sun Salutations and an invigorating vinyasa flow that will incorporate asanas (poses) for all levels. The final half of class will center in on physically and mentally restorative poses utilizing a variety of props to create space in the body and mind. Each restorative pose will be held for 10 or more minutes and are attractive to all body types and level of practitioner. 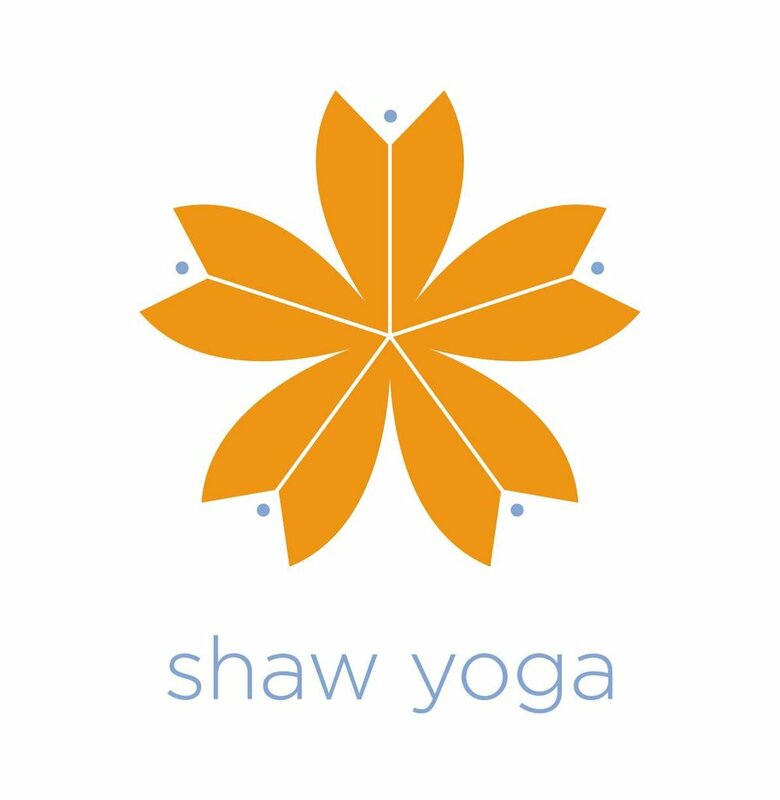 This class is open to all levels, and focuses on refreshing and restoring tired and work-wearied bodies, minds and spirits by starting with a gentle, brief flow practice and ending with 30 or more minutes of static, sustained, prop-enhanced restorative poses to release deeply in the muscles and tissues. This hour-long class will help you unwind and destress after a long day, including essential oils and breath work. The mind will travel to a new, relaxed, receptive, meditative state. This class is a combination of two movement traditions, Pilates and Yoga. It focuses heavily on toning the core, along with other major muscle groups, while incorporating the tranquil and self-exploratory aspects of a yoga class. Warm up and cool down will feature traditional yoga asanas, sandwiching an intense, toning, Pilates-and yoga-inspired central workout. If you're looking to sweat a bit, have fun, tone your muscles, and then reward yourself, this will be a great class for you. People are often searching for connection, for community, for a thing that makes sense at this time. This will be a mellow, gentle asana class, with time to explore the breath, the psyche, to wind down and breathe deep. This creative yoga class weaves vinyasa sequencing with other modalities, such as strength training, dance, and Pilates-inspired movement. The breath is an important component to this class and is used to re-energize and synchronize with movement of the body. Typically set to lively music, the class starts with a heat-building sequence before working on flexibility and often includes an abdominal series and a balancing series, followed by more cooling postures before ending with students lying down on their mats for a short guided meditation called “yoga nidra”. As an all-levels flow class, this will be satisfying to yogis of all levels, beginners or experienced.